“When Harlem Saved a King,” tells the story of the Black woman who plotted MLK's first assassination attempt in Harlem. Very few people have heard of the story behind one of Dr. Martin Luther King, Jr.’s last visits to Harlem. During an era when the 29-year old was starting to gain national popularity, Dr. King planned to promote his first book, “Stride Toward Freedom: The Montgomery Story” at Blumstein’s department store in the heart of Black New York at 125th Street. No one could have predicted the chain of events that would take place that day on September 20, 1958, in what was supposed to be a safe space for the civil rights leader. Izola Wade Curry, a Black woman who worked as both a housekeeper and part-time cook, got dressed that day, put on her jewelry and cat-eye glasses, picked up her black leather handbag, and traveled to Blumstein’s to see Dr. King. Instead of getting her book signed or shaking his hand, her sole intention and purpose was to kill King and she nearly succeeded. Deranged with hate, the 42-year old Curry believed King was a Communist and he and other civil rights leaders were “boycotting” and “torturing” her, so she stabbed him in the chest with a seven-inch letter opener. The tip of her blade landed just shy of Dr. King’s aorta; so close that if he had sneezed, it’s said that he would have drowned in his own blood. Doctors later diagnosed Curry as a paranoid schizophrenic. In a soon to be released, 90-minute documentary entitled: “When Harlem Saved a King,” due out in April 2019 to coincide with the date of Dr. King’s death, executive producer and director, Al Cohen presents details of this unforgettable encounter. The documentary includes observations from the vantage point of politicians, historians, news reporters and political observers, some of whom were there that day. The documentary also features interviews from people who were a part of Dr. King’s inner circle and members of the medical team who saved his life as well as never-before-seen photographs and footage from that day. Cohen spoke to theGrio about the making of “When Harlem Saved a King,” why the world needs to know this story and whatever happened to the woman who plotted King’s assassination attempt. theGrio: Why tell this story? Al Cohen: Well, for more than one reason. What we’re focusing on in the story is not just the historical aspects of the project, but a present danger that’s facing our culture which is the mental health component. Izola Curry was diagnosed with mental illness. There are people today suffering from mental illness, and a lot of times, it goes undetected and untreated. There are major consequences that are happening across our nation. We showcase that in the documentary and look at what could have happened if it wasn’t for the heroic efforts of the Harlem community in Dr. King’s life. theGrio: Why is this an important part of Black History/American History? Cohen: It was a Black woman who suffered from illness and because of her illness, she was able to perpetrate that behavior among another African American individual, not realizing the status he would have achieved later on in life. Mental illness really has no color. This could have happened to anybody. theGrio: What did you learn in the making of this documentary? Cohen: I learned that not only did Izola Curry stab Dr. King, but she had a loaded gun on her as well at the time of her arrest. His life could have been ended in Harlem for real. She went there to do him bodily harm. theGrio: How are you garnering support for the documentary? Cohen: Right now, we’re doing a couple of private screenings, but we also have, “The Day Harlem Saved Dr. King,” which is a stage play that’s running throughout in New York City this week (it ends on Jan. 21), executive produced by Voza Rivers (who is a producer on the documentary film as well). Voza Rivers: The play is an amazing theatrical reenactment. We premiered it last week at Williams Institutional CME Church in Harlem on Adam Clayton Powell Blvd. where dignitaries and local leaders of civil rights organizations including the NAACP, the National Action Network, advocates for seniors, and multiple other organizations came out. This is a complementary piece to the actual documentary. It’s a theatrical component that allows students, teacher, and others to interact with the actors and gain a better understanding of the role those five Harlem doctors played in saving Dr. King’s life. The documentary, however, has all of the dramatic gravitas of what happened. What we have are really two companion pieces that we’re marrying together. theGrio: Why do you think this story has never been fully told up until now? And do you think if Izola Curry was a white woman, the story would be better known? Cohen: There’s a conspiracy theory that when she was arrested for the stabbing, a group in the South called the White Citizen Council [allegedly] sent funds to support her. That was kind of unique within itself. I believe that if there was a larger conspiracy behind it, and that there was a failed attempt, that whoever was behind it would have pushed this story away and just closed the door on it really quickly. Within two weeks, Izola Curry was sent to a mental institution. There was no trial. There was no long drawn-out jury process. She was just sent away. 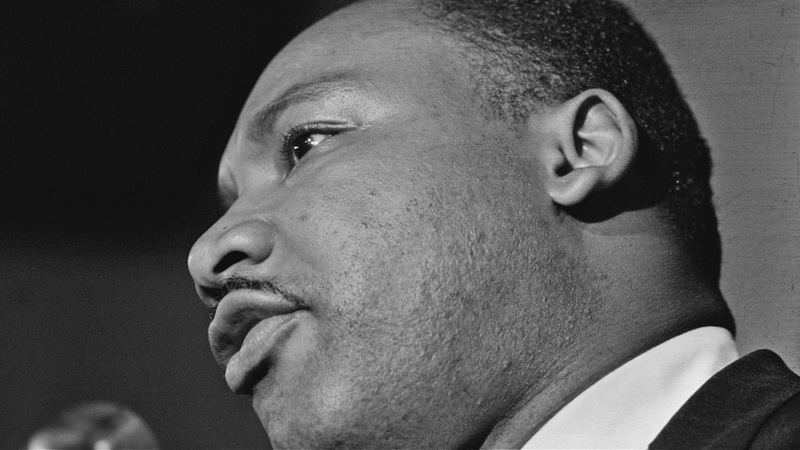 You can speculate because there were people of color who didn’t like Dr. King. We can only just assume that maybe she was set up for a larger cause. theGrio: Do you know what ever happened to Izola Curry? Cohen: She was placed in a mental institution for about 14 years, released and then eventually was sent to a nursing home for 50 some years. We reached out to her and had an opportunity to see her before she passed. theGrio: Was Dr. King’s family involved in the documentary? Cohen: I consulted with the family’s attorney, but there was never a need for their permission for this project. As a matter of fact, it was more of enlightenment to them as well because not even they were fully aware of the story. “When Harlem Saved a King,” will be shown in select cities starting in April 2019. Check whsak.com for more information.